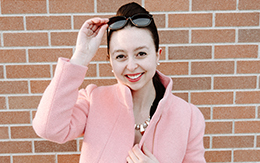 I recently moved and that meant I got to clean out and reorganize my closet! 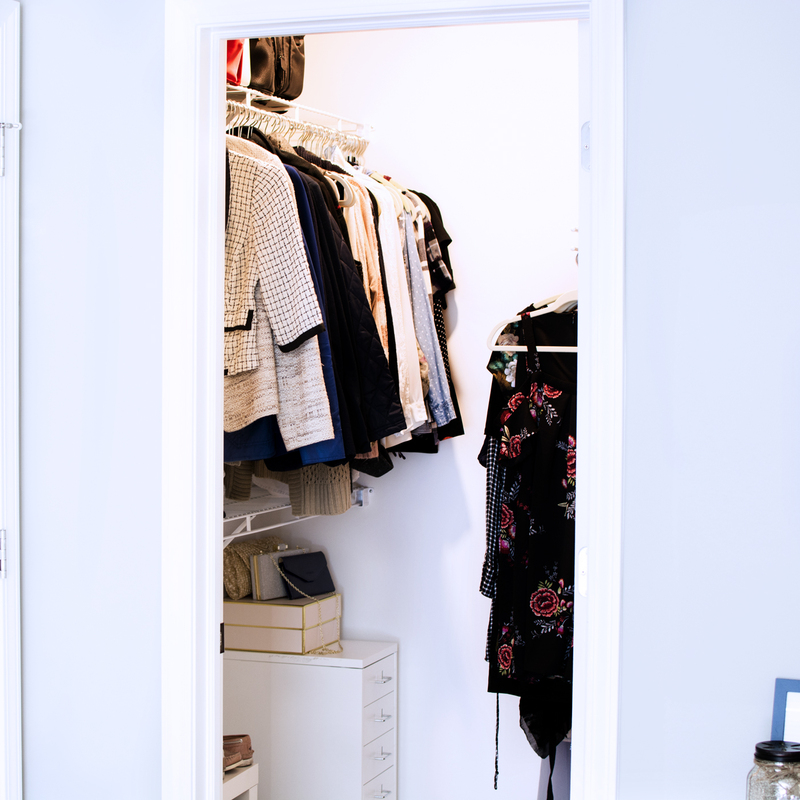 My new closet is much bigger than my last but I still pulled out some of my favorite closet organization hacks to create the perfect space. The shoe shelves above actually weren’t even meant to be stacked – they’re a couple of Lack tv units from Ikea that I just stuck together! I can’t tell you how many closets I’ve seen where shoes are just thrown in a lumpy pile at the floor. Got out, spend $20 on some stackable shelves and organize your shoes! I have mine organized by Sperry/loafer, heel/pump, boot/overflow and flat/sandal. I can’t tell you how much of a lifesaver this drawer unit is. Random bathing suits? Drawer. Hats and gloves? Drawer. Birthday cards I like to save from 10 years ago? Drawer. All of my random items that don’t have a home anywhere else now live in this little stack of drawers and is probably my best secret to keeping my closet neat and tidy. If anything creates space in your closet, it’s velvet hangers. They’re thin and keep everything from slipping off – bonus points for all of my spaghetti strap tops! They’re a little on the pricey side but well worth the investment in the end. Now that it’s fall, take a Saturday, grab some apple cider and do a little “fall” cleaning! 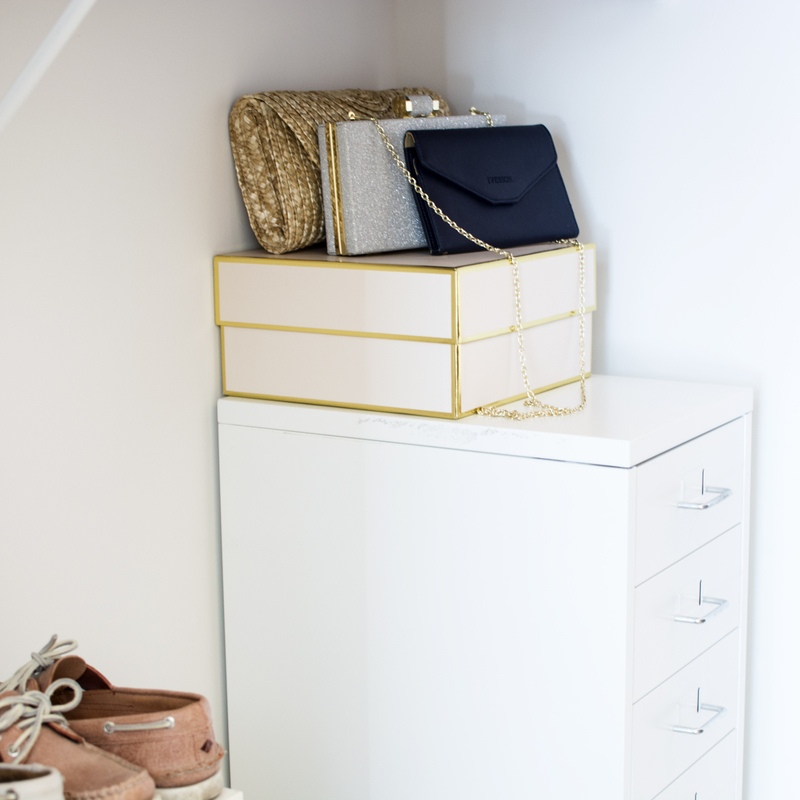 A little closet organization before winter is always a go-to in my book!